Xylitol, a popular sugar substitute, is highly toxic and potentially deadly for dogs. While many of us equate xylitol with chewing gum, there are many other common foods and household items that we may not think about containing xylitol – yet they do and can be harmful, or even fatal, to our beloved dogs. 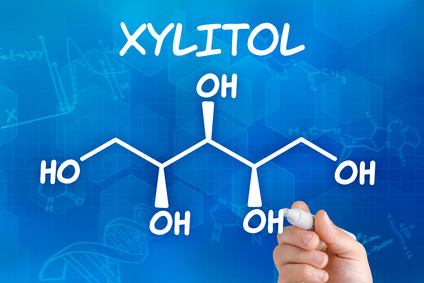 How can we avoid xylitol poisoning in dogs? Xylitol is a naturally occurring, lower-calorie sweetener derived from either birch trees or corncobs. It is a sugar alcohol that is used in many products as a sugar substitute. How Does Xylitol Harm Dogs? When dogs eat something containing xylitol, it may trigger the pancreas to rapidly release a potent amount of insulin. This sudden burst of insulin, in turn, may result in hypoglycemia, a rapid and dangerous decrease in blood sugar levels. The toxicity of xylitol for cats has not been documented. In addition, cats have a well-known disdain for sweets, and so are far less likely to be drawn to products containing xylitol. However, until documentation proves otherwise, it is prudent to also keep your companion cat far away from any xylitol-containing products. If you suspect your dog has eaten or chewed xylitol, rush him to the nearest emergency veterinary facility or your regular veterinarian. There is no time to waste. The effects of xylitol and dogs can quickly become deadly. Even certain types of clothing can contain xylitol! Please visit Preventive Vet for a full list. The list continues to grow as more and more products are introduced with xylitol or are changed without our knowledge to contain this lethal sweetener to dogs. Before you give any product made for humans to a dog, be sure to read the label. I Have a Confession: I Am an Emotional Eater.